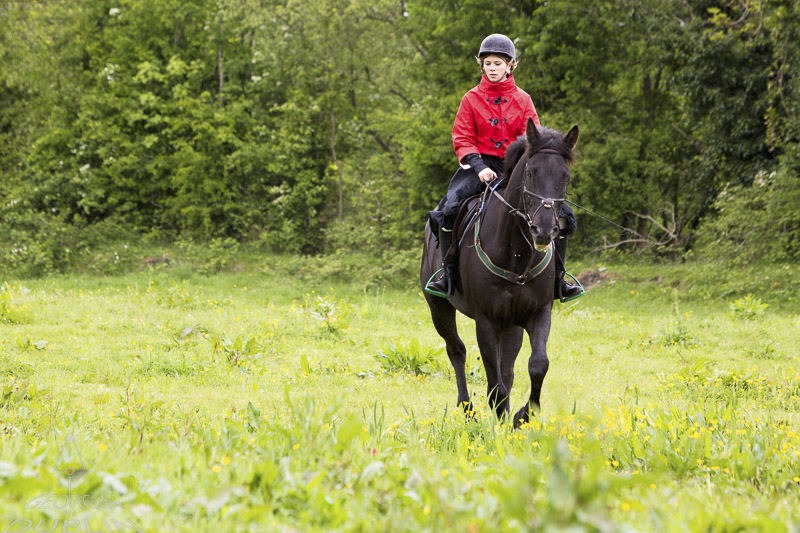 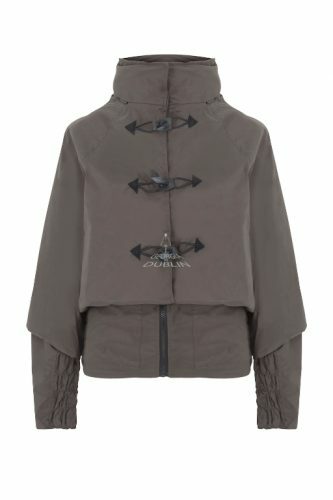 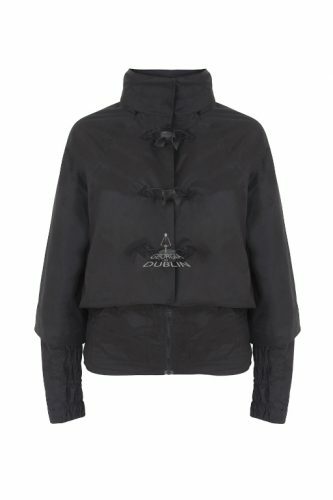 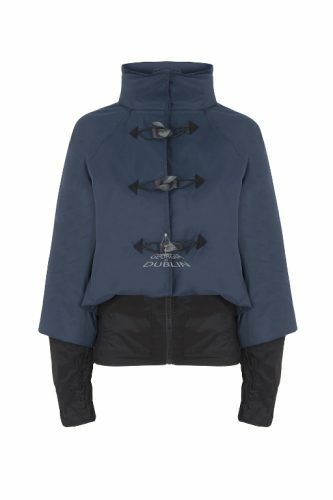 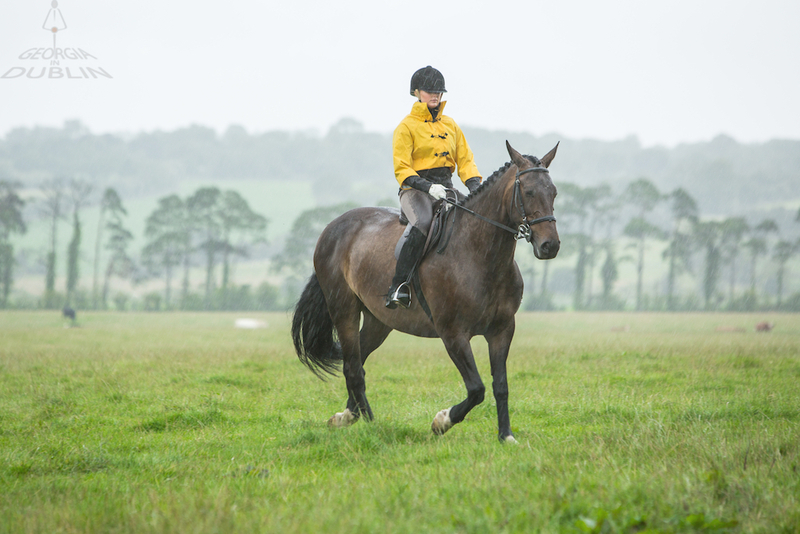 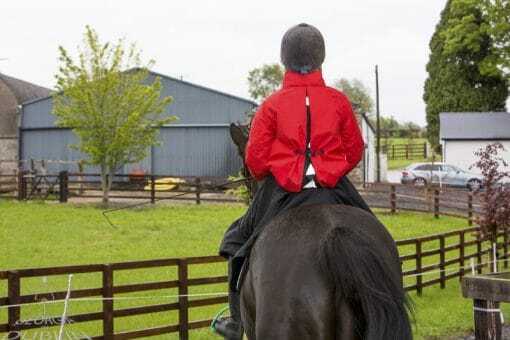 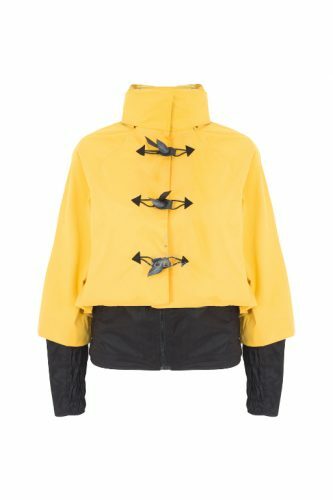 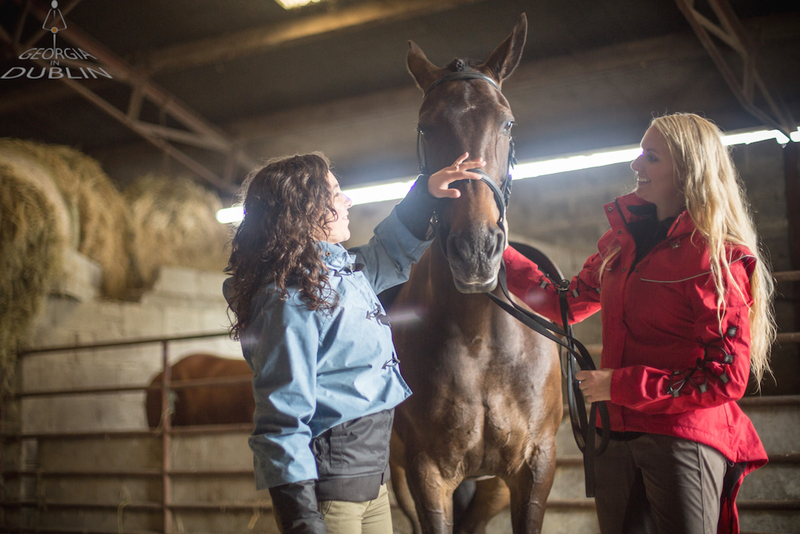 The Bronte, equestrian rain jacket. 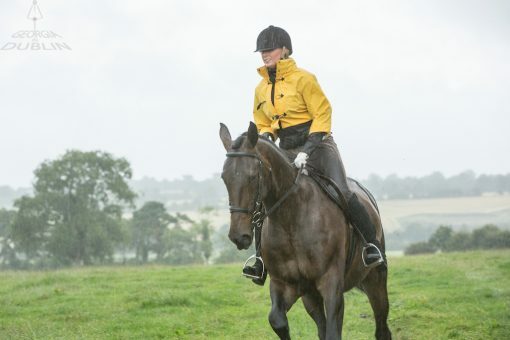 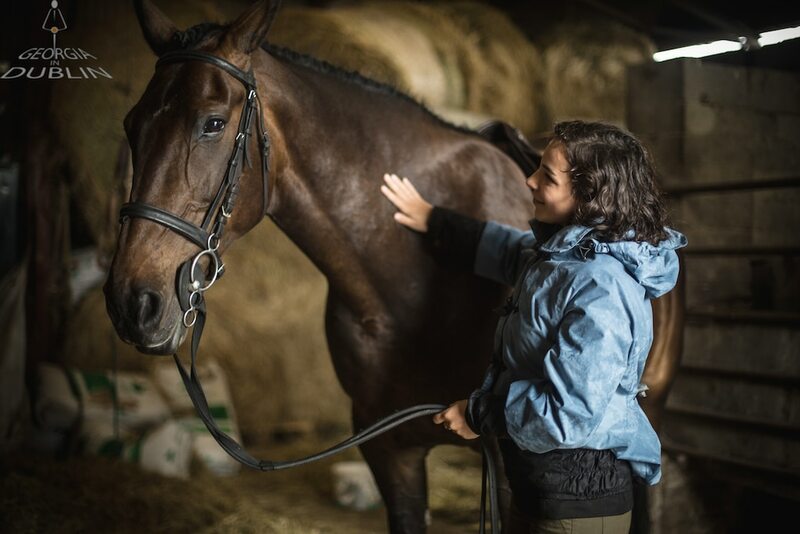 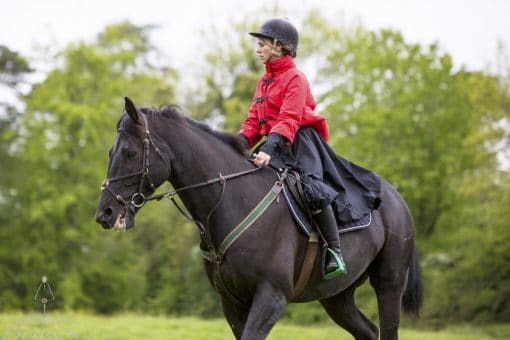 Free and roomy while anchored at the waist and wrists with a black elasticated band and cuffs the Bronte, an elegant equestrian rain jacket, is incredibly comfortable and pleasant to wear. 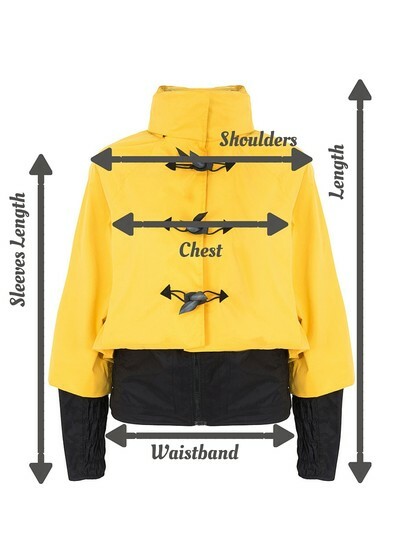 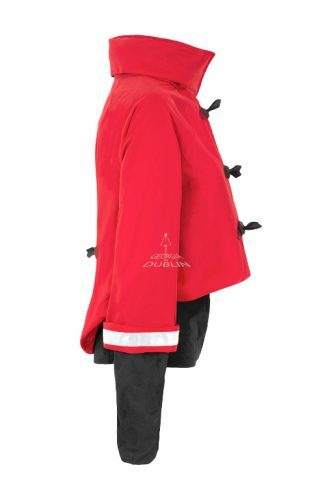 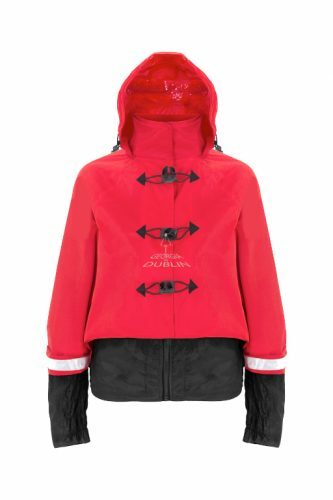 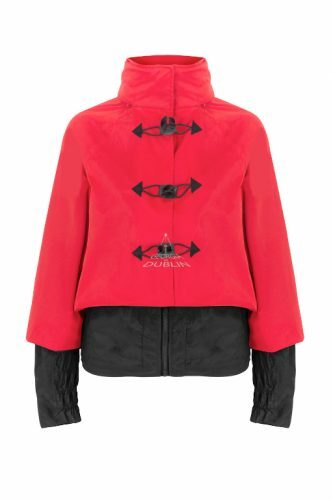 It has a high collar to keep the wind out and is fully waterproof. It’s pretty butterfly buttons are made in house from recycled inner tubes. 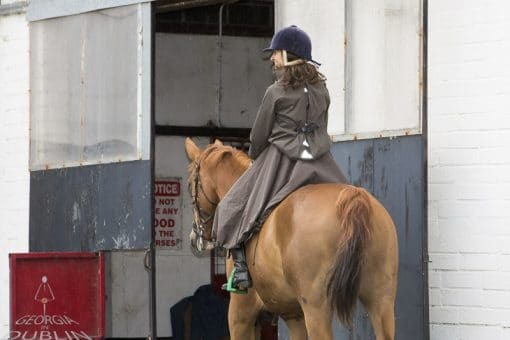 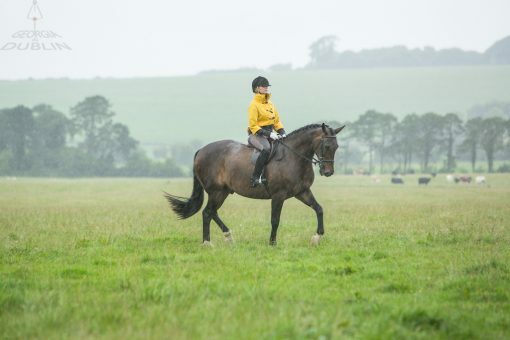 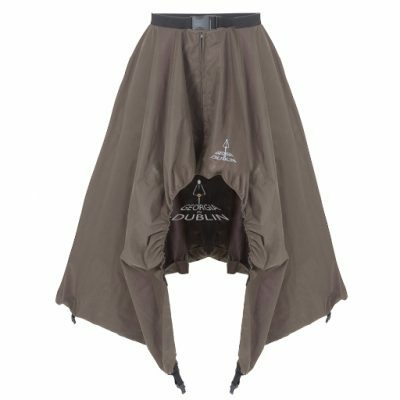 The Bronte twinned with the Bella Bumbrella riding skirt will make the perfect waterproof ensemble! – Reflective detail down back band on underside of cuff which can be folded back when required. 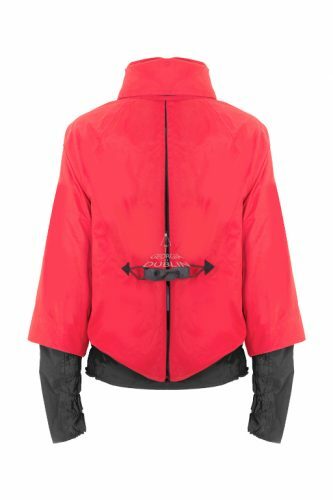 – Available in Red, Black, Vineyard Green, Navy and Yellow.